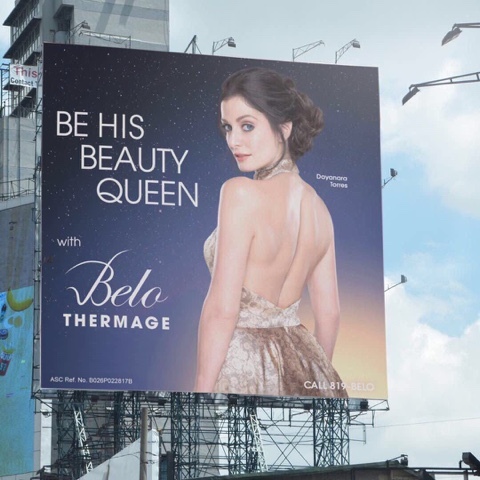 The leader in cosmetic surgery and dermatological services, Belo Medical Group, once again unveils their latest campaign this time around featuring 1993 Miss Universe, Dayanara Torres. Here's the billboard of Dayanara (photo courtesy of Belo Med Instagram account). Here's Dayanara having her Belo Thermage session with Dr. Vicki Belo. To know more about Belo Thermage, click here.